There are 6 Memory Care Facilities in the Janesville area, with 3 in Janesville and 3 nearby. 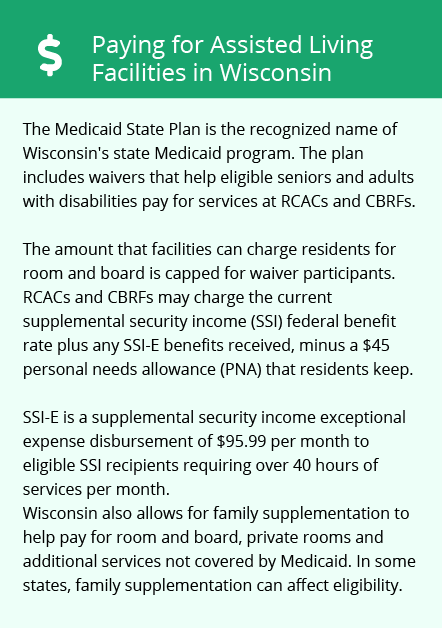 The average cost of memory care in Janesville is $4,252 per month. This is lower than the national median of $4,650. Cheaper nearby regions include Clinton with an average starting cost of $3,000. To help you with your search, browse the 11 reviews below for memory care facilities in Janesville. On average, consumers rate memory care in Janesville 3.4 out of 5 stars. Better rated regions include Clinton with an average rating of 4.0 out of 5 stars. Caring.com has helped thousands of families find high-quality senior care. To speak with one of our Family Advisors about memory care options and costs in Janesville, call (855) 863-8283. Janesville, which has a little over 64,000 people and a senior community that comprises nearly 16 percent, is located in the extreme south-central region of Wisconsin, where over 110,000 people are currently living with Alzheimer's disease, according to the Alzheimer's Association. Janesville offers a variety of resources for adults with dementia. The city is home to the Aging and Disability Resource Center of Rock County, which provides services like benefits counseling, options counseling and informational resources. The region also has a dozen memory care facilities, three of which are located in Janesville and the other nine of which are located in nearby cities. A majority of these facilities are housed within assisted living facilities that meet specialized staff training requirements. While summers in Janesville only have highs in the low-80s, the region's high humidity levels can make the hot months uncomfortable for seniors who are sensitive to heat. Winters are very cold with highs in the high-20s and lows in the teens, and the city gets about 34 inches of snow annually. These conditions can make it difficult for families to visit their loved ones in memory care. With an overall cost of living that is about 10 percent below the national average, Janesville is a good option for seniors who are on a tight budget. Healthcare expenses are roughly 11 percent below the national median and 16 percent below the state median, which can save seniors money on medical bills. While Janesville's crime rate is higher than that of 90 percent of other Wisconsin cities, it's comparable to that of similarly sized communities across the country. Residents have a one in 409 chance of being the victim of a violent crime and a one in 36 chance of being the victim of a property crime. Families should ensure that the memory care facility that they choose for their loved one has measures in place to keep residents safe and prevent wandering. The Janesville area is home to world-class medical facilities, including those specializing in brain health and dementia care such as Mercyhealth Hospital and Trauma Center, in the event of medical emergencies or illness. Memory Care costs in Janesville start around $4,252 per month on average, while the nationwide average cost of memory care is $4,798 per month. It’s important to note that memory care rates in Janesville and the surrounding suburbs can vary widely based on factors such as location, the level of care needed, apartment size and the types of amenities offered at each community. Janesville and the surrounding area are home to numerous government agencies and non-profit organizations offering help for seniors searching for or currently residing in an assisted living community. These organizations can also provide assistance in a number of other eldercare services such as geriatric care management, elder law advice, estate planning, finding home care and health and wellness programs. To see a list of free memory care resources in Janesville, please visit our Assisted Living in Wisconsin page. 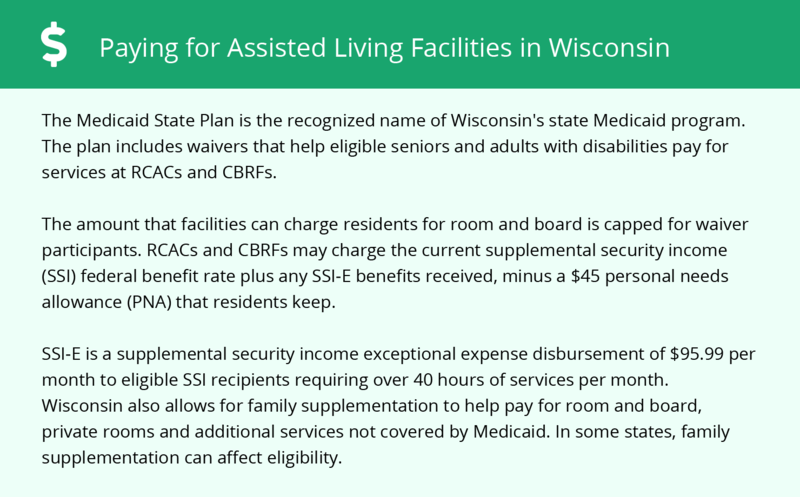 Janesville-area assisted living communities must adhere to the comprehensive set of state laws and regulations that all assisted living communities in Wisconsin are required to follow. Visit our Memory Care in Wisconsin page for more information about these laws.